Nothing completes a good home with a lovely garden in the way that a green and healthy lawn does. It is a core part of your yard that makes the trees, flowers, fountains and other things in your garden look their best. It acts as a carpet for outdoor activities, and your children should ideally enjoy playing and jumping all over the place when summer finally sets in. With the recent concerns over how most of the chemicals we use on our gardens affect the environment, it is prudent to understand how to naturally take care of your lawn so that you do not start experiencing the demerits of using toxic chemicals. Taking care of your lawn in a natural way does not have to be an overwhelming thing if you know the right things to do. In this piece, we have compiled some useful lawn care tips that will give you a green and healthy lawn. You will come across several grass types when you visit your garden expert’s store, and you should pick the right one. Keep in mind that the right kind is not only determined by the appearance of the grass blades as there are more pertinent matters that can influence your decision. One major factor that you need to take into consideration when picking a grass type is the kind of climate it is suited for. You might see a grass type doing well in a different region and buy it only to find it struggling to survive in your yard. Most grass types cannot survive in extremely hot and cold conditions while others are renowned for their ability to withstand drought. The other thing to take into consideration is the amount of sun or shade that your grass will get in your area. If you live in a place that receives less than four hours of sun daily, it might be prudent to select the types that are suited to low sunlight. The last thing you should look at is the special considerations surrounding the lawn such as the amount of traffic expected or so. In a nutshell, it is best to select a native grass variety that is suited to the climate in your area so that you do not spend so much time and effort trying to maintain it. Your soil provides grass with the nutrients and water needed to keep them healthy and green. However, soil gets depleted off these minerals after some time, and it is vital to give them that desired boost. If you were using chemicals on your lawn, you are required to improve the structure since the processed fertilizer and products make grass to develop shallow root systems since they receive most of their nutrients from above the ground. To check whether the soil in your lawn is favorable, you might be forced to conduct a test using a DIY kit or call an expert for the activity. Ensure that the test is done in different parts of the garden so that the results give an accurate picture of the whole area and not a specific patch. The results of the test will tell you the exact things you need to do to improve the soil structure and boost it some of the nutrients that may have fallen below the desired levels. One important thing that you need to do after switching to organic care is banishing the use of chemicals on your lawn. You should switch to organic fertilizer which can be bought in some stores or even created at home. 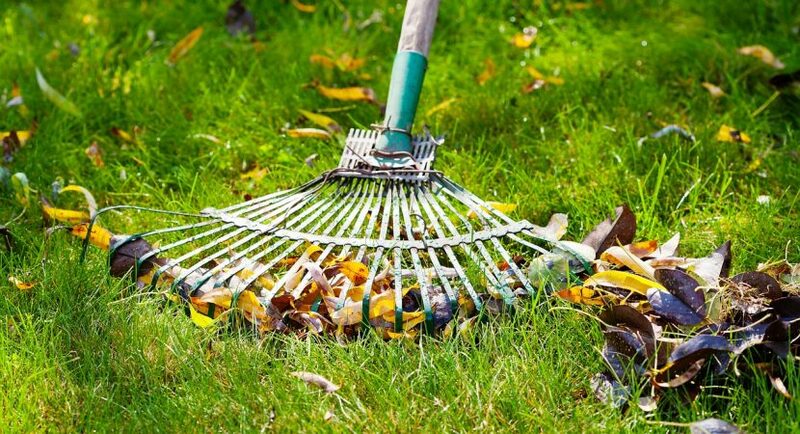 If you have some yard waste, you could use it to develop a compost system that can be applied on your lawn once in a while. Organic fertilizers are used to enhance the amount of a specific mineral in the soil, and your expert should recommend the best one to use based on the test results. You should also apply the fertilizer strategically based on the growing cycle of the grass you select so that they can utilize the minerals and grow well. Mowing is an essential part of any lawn care plan, and you should do it right. First, adjust your mower to the right size to ensure that you do not cut the grass too short. Doing so will reduce the amount of light the grass blades get exposed to, and this can affect their growth. You should also ensure that the blades are sharp enough so that you cut the grass and do not just bruise and tear them. Tearing them leaves them exposed and vulnerable to pests and diseases. You should also mow it a little at a time rather than wait for the grass to grow tall before you start cutting it. When you allow this to happen, the grass will be forced to turn to the food reserves in the roots since a significant part of the leaves has been cut, something that might deplete the reserves and lead to a weak root system. It is known that water is essential for a healthy lawn, but you should expose your garden to more water than it is needed. One thing you might not know is that your lawn might not need as much water as you think. Good practice dictates that you should give your lawn at least one inch of water every week. Switch your watering times and only do it early in the morning before the sun comes out so that the ground absorbs much of the water before the sun comes and leads to the evaporation of some of this water. Watering at night is not advisable since the grass will remain wet throughout the night and offer a perfect medium for the growth of mold. Some organic methods of taking care of a lawn have been highlighted, and they can help you to achieve a green and healthy one without struggling. Remember that the key to organic lawn care solutions is maintaining it and doing all the mentioned things regularly before things get serious and you are forced to take severe measures. Click here to find out more. On Dangerous Gardening Tools And Mindless Users!